If you've got top-team ambitions and have spent 1,000 Co-op points this year, listen up. The funerals-to-supermarkets mutual is hiring member directors. The Co-operative Group is looking for two member directors to join its board and help push through chief exec Richard Pennycook’s ongoing turnaround plan. Applicants must possess, amongst other things, a valid Co-op membership card and have spent at least 1,000 membership points with Group businesses within the last year. Now not only having, but using, a membership card is a pretty unusual pre-condition for would-be board directors of a large retail organisation. We doubt that Tesco’s Drastic Dave quizzed many of his newly-hired NEDs on their favourite ClubCard rewards before he welcomed them aboard (although you never know...). But the Co-op is not really a regular retailer – not only do its operations Include funerals, electrical goods and insurance as well as supermarkets, but with around 8m members it is also Britain’s most popular mutual (that’s an organisation that is owned by its members, not quite the same as the oft-cited John Lewis which is owned by its employees, but the same kind of idea). Conversely, previous executive experience is not expressly required, although candidates must be ‘credible’ and have served at ‘an equivalent level in a comparabale organisation’. Which apparently means charities, boards of trustees, local councils and the like. Member directors must thus speak the language of business and know how to ask the tricky questions, but also have personal integrity, a commitment to protect the mutual status of the Co-op, a strong profile and reputation and excellent influencing skills. Quite a testing list of requirements when you look at it. It’s all part of the Co-op’s drive to re-invent itself as a more streamlined and readily-governable outfit, and return to profitability (and to start paying its famous divi again) whilst still remaining true to the egalitarian principles of its founders, the Rochdale Pioneers. So if there’s anyone out there in MT land who fancies dusting off their Co-op card and putting themselves forward, here’s a reminder of who’s on the board already that the successful applicants could end up serving alongside. Leighton has held a series of high profile roles, including chief executive of Asda, from 1996 to 2000, non-executive chairman of Royal Mail from 2002 to 2009 and president of Loblaw, the largest food retailer in Canada, from 2008 to 2011. Joined the Co-op in 2013 after nearly eight years as group finance director at Morrisons supermarkets. Previous roles include Group Finance Director at RAC and JD Wetherspoon..
Sir Christopher chaired the independent review which considered the events leading up to the re-capitalisation plan for The Co-operative Bank plc in 2013. He currently chairs the King’s Fund and the Responsible Gambling Strategy Board and previously chaired the Committee on Standards in Public Life, the Financial Ombudsman Service and the NSPCC. Blears was a Labour Member of Parliament from 1997 – 2015, representing Salford and Eccles. She has held a number of senior positions in government including Public Health Minister, Home Office Minister and Communities Secretary. 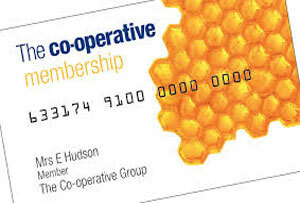 A Co-op member for over 20 years, she has shopped and banked with the Co-op throughout that time. Burke was appointed to the Group board in November 2014. He is a Chartered Accountant and is currently a NED for the BBC, a director of The Light Cinemas (Holdings) Limited and Blue Diamond Limited. He was previously Chair of both BathStore and Hobbycraft, and CEO for Virgin Retail, Virgin Cinemas and Virgin Entertainment Group. Paul was chief executive of Traidcraft from 2001-13, and President of the European Fair Trade Association from 2005-12. He is also Chair of the William Leech Foundation and Durham Cathedral Council, a director of Shared Interest, and a trustee of the County Durham Community Foundation. Plumb has been CEO of Moneysupermarket.com since 2009. He studied civil engineering at Birmingham University and gained an MBA from IMD in Switzerland. Peter was UK Managing Director of dunnhumby, the engine room of Tesco’s Clubcard, and has also held senior leadership roles in businesses including Disney, Dyson and PepsiCo. Spellman was formerly Chief Executive of the Chartered Management Institute (CMI), and has previously been CEO of the Institution of Mechanical Engineers and Investors in People (IIP) UK. She worked as a senior consultant in HR in the private sector and was HR Director of the NSPCC. After a successful career in brand marketing and consumer advertising, Spring became CEO of outdoor advertising group Clear Channel, then of publisher Future PLC, where she helped it to become the largest seller of digital magazines on the Apple Newsstand. She has chaired the popular BBC Children in Need appeals since 2008.